Karolyn Smardz Frost spent ten years researching for and writing this book, and it shows. The story centers around a woman named Cecelia Jane Reynolds, but there are many, many other interesting and amazing people and events happening in this book. So many names and dates, and I wanted to absorb and remember every one of them. Her passion for this subject and for this woman is inspiring. Cecelia was the maid of a girl a few years older than herself, in the city of Louisville Kentucky. She was treated considerably “well” and was close to her owner (Fanny). As lady’s maid, she enjoyed perks such as traveling around the country and wearing Fanny’s fashionable cast-offs. She was also enslaved in the same household as her own family, and although she had to endure the selling of her father at the age of six (which was traumatic), her mother and brother were always close by. So, relatively speaking, she was treated “well”, although there was always the threat of being sold south to the plantations hanging over their heads. Despite knowing what she would be giving up and not really knowing where she would end up, she took the risk of leaving behind everything she knew and loved, to have the chance to be free. In 1846, at the age of fifteen, Cecelia escaped across the Niagara into Canada, ending up in the city of Toronto where there was a vibrant community of both fugitive and free African Americans and African Canadians. There she married Benjamin Pollard Holmes, one of the men who helped get her across the river. No one will ever know how many people owed their liberty to brave souls like Benjamin Pollard Holmes who engineered their crossing into Canada, or how many rejoiced in the warm reception they met because of women like Cecelia. After the death of her husband in 1859, Cecelia moved herself and her young daughter to Rochester, NY right before the start of the Civil War. She married a man named William Henry Larrison, and they remained together until his disappearance in 1883. As for Cecelia, the decisions she made in the immediate aftermath of her husband’s death were dramatic and had profound consequences for both herself and her five-year-old daughter. They would be living in the United States when the Civil War broke out, and Cecelia’s choices would carry them both into the very heart of the conflict. Unfortunately for Cecelia, she didn’t know what we know now about the Civil War and its aftermath. She had to make some tough decisions about what she thought would be best for her family at the time; decisions that would be hard even today. Cecelia eventually makes her way back to Louisville where her former owner, Fanny, still lived. She is finally re-united with her mother whose freedom she was never able to buy, despite years of working and saving. And she is also re-united with Fanny, in the hopes that her connections in society might help to get Cecelia and her husband some employment. Despite the fact that Fanny claimed to feel close to Cecelia and wished for her happiness, she was unwilling, over the years, to let her mother go without payment, and, worse, when she dies she only leaves Cecelia a measly $100 and a black shawl to remember her by. By this time Cecelia was getting older, was losing her eyesight, and was barely getting by. Fanny had a lot of money to spare – $100 was nothing to her. Using Cecelia’s story as a base, Karolyn Smardz Frost fills her book with all the major and minor events of any significance whatsoever about Black life in both Canada and the U.S. over the course of Cecelia’s life. There are an astounding number of details about all the people in and around Cecelia’s life; who they were, how they contributed to society, and where they lived. Cecelia’s life rubbed up against some well-known abolitionists such as Harriet Tubman, Frederick Douglass and Soujourner Truth. There seemed to be a lot of movement back then, something I wasn’t expecting; following prosperity, but also, in the case of African Americans and African Canadians, searching for places where they could live out their lives with a minimal amount of prejudice against them. A futile attempt. I learned a lot from this book [warning: onslaught of ‘fascinating-to-me’ information]; the lesser-known names of both black and white abolitionists, early laws surrounding antislavery in both Canada and the U.S., popular spots along the Underground Railroad, the economic and political landscape over the years, the consequences of the Fugitive Slave Law (1850), the attraction of the Australian gold rush, the history of immigration in Toronto, more details about the Civil War (such as the fact that black men were not allowed at first to fight in the war, and that 2500 African Canadians crossed the border to help fight), and the fact that “Kentucky’s postwar history of assault on its newly freed African American population was among the cruelest in US history“. But the thing that struck me the most was the realization that racism in North America seemed to get worse over the years rather than better. Anger and resentment in the white community seemed to increase dramatically after the Civil War and laws meant to help protect African Americans were ignored without consequence. Things got even worse as more immigrants arrived in both the U.S. and Canada, resulting in greater competition for jobs and space. Typically for those who followed the paths of the Underground Railroad out of the slave South, the most tangible legacy left behind by Cecelia Jane Reynolds and the two good men she married was their children. Brought up under the proverbial law of the British lion, they flowered into adults who were fully prepared to take their place in a civil society that recognized both their humanity and their right to self-determination. These hopes were not to be realized in their day, nor even in our own. But despite ongoing social and economic exclusion based on race, heirs to the freedom-seekers continue to agitate for the rights promised long ago in those brilliant, optimistic words set down by America’s Founding Fathers when they drafted the Declaration of Independence. This book was written so we can all pay tribute to strong, incredibly resourceful women like Cecelia Jane Reynolds and to valiant, committed men like Benjamin Pollard Holmes and William Henry Larrison. They broke the chains that bound them and set out in search of a Promised Land. Their memory cannot end with their deaths. A big chunk of reference notes. CBC Books: Karolyn Smardz Frost talks about how she first discovered Cecelia, how she researched Cecelia’s story, and how she stood in the basement of Cecelia’s house in Toronto. CBC News: Archeologist unearths epic story of slavery and freedom in Toronto – Karolyn Smardz Frost talks about the 2015 excavation site of St. John’s Ward in Toronto, and how she came across the letters that led to research for her book, Steal Away Home. Karolyn Smardz Frost is an historian, archaeologist and award-winning author. Her book I’ve Got a Home in Glory Land: A Lost Tale of the Underground Railroad (2007) was the first book on African Canadian history to win the Governor-General’s Literary Award for Non-Fiction. It hadn’t really occurred to me that the Underground Railroad finally let out in Canada. I can see why you found the history so fascinating. And the movement between the U.S. and Canada seemed so fluid – people constantly going back and forth. Sounds fascinating. I wonder what percentage of slaves who tried to escape actually succeeded. Those poor people. Did the book discuss the North’s economic advantage in freeing slaves? Most people are under the impression that the North is simply liberal and the South is backwards, but it’s not so simple. It didn’t discuss North versus South in those terms, but it made very clear the fact that racism plagued them everywhere they went, and that they had both friends and enemies everywhere they went. The main advantage of the North was that it was illegal to own slaves before that same law was passed in the South, so they had more protection from being caught and sent back. Good, I’m glad the book wasn’t all cupcakes-and-rainbows divisive! Fascinating post, Naomi. Resonated with me today, particularly, having just posted a review of Laird Hunt’s The Evening Road about a lynching. I’m also interested by Grab the Lapels’ comment. I found it interesting to read about the whens and the whys of it all. Another neat thing to learn was that the area where the relatively peaceful and thriving Black community existed in Toronto when Cecilia came to live there has been replaced several times over by other immigrant communities, like layers. That reminds me of Bedford, a small town not far from London, close to a brick works. The work was so tough that only immigrants would do it. As each generation found its feet and a better way of making a living a new group arrived from a different part of the world. It would be fun to read a book that went through the generations of immigrants that lived and worked in the same area (or even the same house)! Sounds fascinating. I wonder if the whole question of slavery and race in North America will ever finally become history – every time it seems to be improving, something happens that sets it back decades. Saddening. Sounds fascinating Naomi. I know very little about Canada during this period & its role in the Underground Railway. It would definitely help fill in some gaps in my knowledge! I can’t help but admire the work of writers who have been so focused and passionate on one project for many years. A labour of love, that’s for sure! 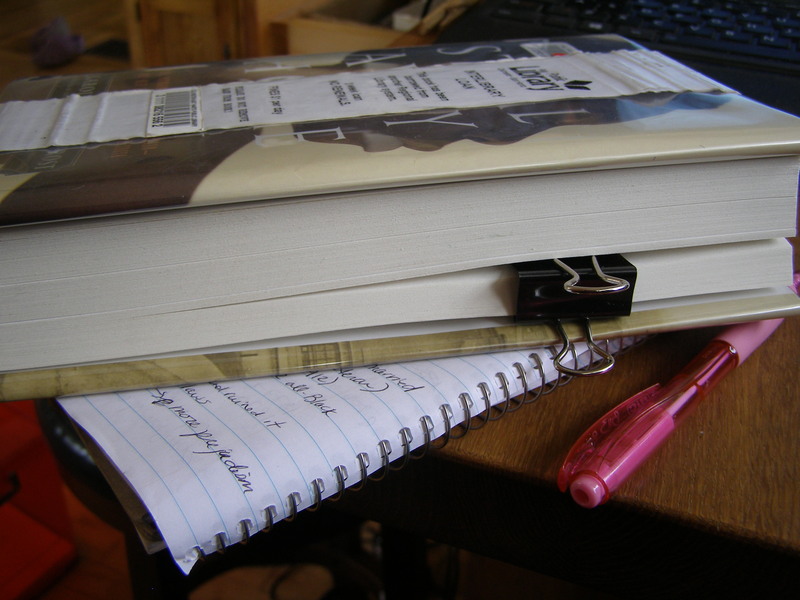 When it comes to writing and research a novel, 10 years is the magic number apparently. Every novel I’ve ever seen that “took 10 years to write” is incredible. And it’s never 9 or 11. LOL. They’re obviously not doing it for the money (which is even more admirable)! This sounds amazing. Earlier this year I read The Warmth of Other Suns, which was about the African American migration out of the South and into Northern cities like Chicago and New York during the Twentieth century. These carefully researched stories reveal so much more than what we learned from the generic history shared with us in school. The details of these people’s lives should be preserved. Definitely adding this to my list! I’m glad you’re tempted by this! The Warmth of Other Suns is a book I’d like to read, too. I agree – often we can learn more from the details of one (or a few) people’s lives than from a general history lesson. And it’s so much more meaningful. I like nonfiction that can make me cry! I agree with Priscilla, this sounds amazing. I hadn’t heard of it before your post. I hope it becomes readily available in the US – it doesn’t look like it so far. Fingers crossed! It really should – it’s written by a Canadian, and Canada plays an important role, but Cecilia spends most of her life in the US. Both of her books sound fascinating. There seems so much about the Underground Railroad that could be more known. Thanks for the links – I plan to read about her excavation site. Enjoy the reading – I found it all so interesting! And you really get a sense of how emotional and meaningful it is for the author. The diaspora of those who escaped slavery in the Southern United States is a part of African American history that has been totally neglected. It is great that it is beginning to be told from the Canadian side of the story. Oooo, I can hardly wait to read this one. Thank you so much for the teaser! It might actually be a purchase rather than a loan, given my enthusiasm. To cast a light on the fact (often overlooked) that Canadians had slaves too, you might also enjoy The Hanging of Angelique by Afua Cooper. It, too, is readable and manages to share information alongside one woman’s story in a way which keeps your interest throughout (it’s also shorter, by the looks of it, but is further in the past, so perhaps that comes down to source material). Also, I second the rec for The Warmth of Other Suns, which I gobbled up in just a couple of days – so so so good. 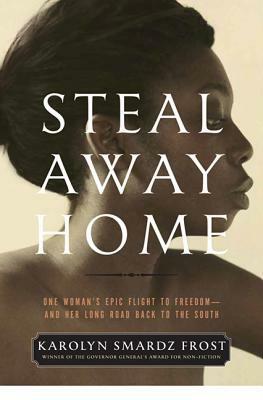 Which would be fitting, as I’ve just gotten the notice that Steal Away Home is at the library to pick up (which didn’t take long at all, although if I love it, I might buy it anyway).